I do not believe that one size fits all. Every business is unique and has its own ingredients it needs to be stunning success. 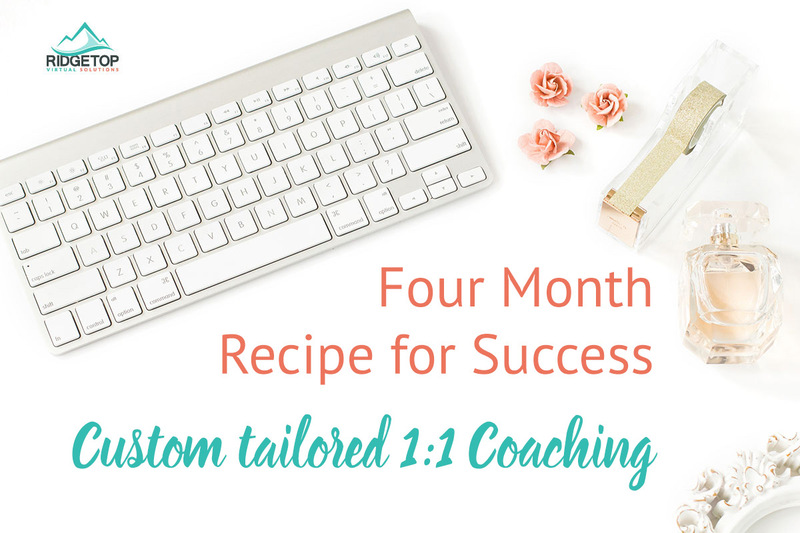 This is a custom tailored, one on one coaching program individual to each client. Together we’ll collaborate in the RVS kitchen to create the ultimate Recipe for Success for your business. Unlimited email access to me for 6 months – Hit me up when you have a question or problem and need help. Let’s celebrate when you hit those big milestones or have something fabulous happen. I want to know it all and be there for you. We’re truly partners in your success! !